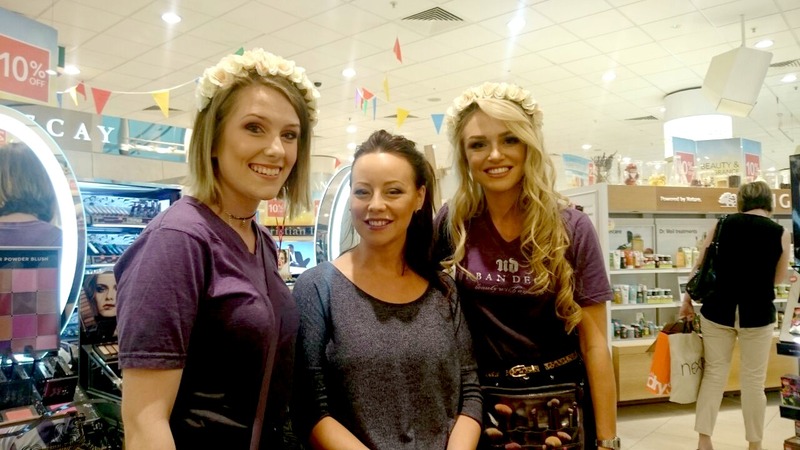 Amy and Tanya and I were invited up to Debenhams Basingstoke last week for their Beauty Gala event which was taking place across all stores. Greeted with drinks and canapes, the lovely Davina then showed us around to each counter and introduced us to each of the consultants. 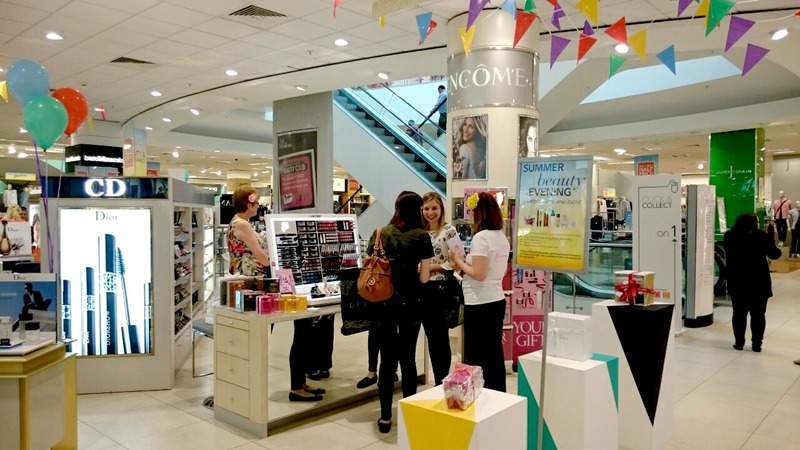 There was lots happening on the night with beauty tutorials by Urban Decay, brow talks with Benefit Cosmetics, Skin consultations and facials with Clarins and lots to win on the night including some amazing raffle prizes. All the staff really got into the spirit of things with colourful bunting and balloons displayed around the store. Everyone was on hand with information and a whole lot of beauty knowledge to keep us all talking for hours. After grabbing some canapes and a couple of wines we made our way through each of the counters. 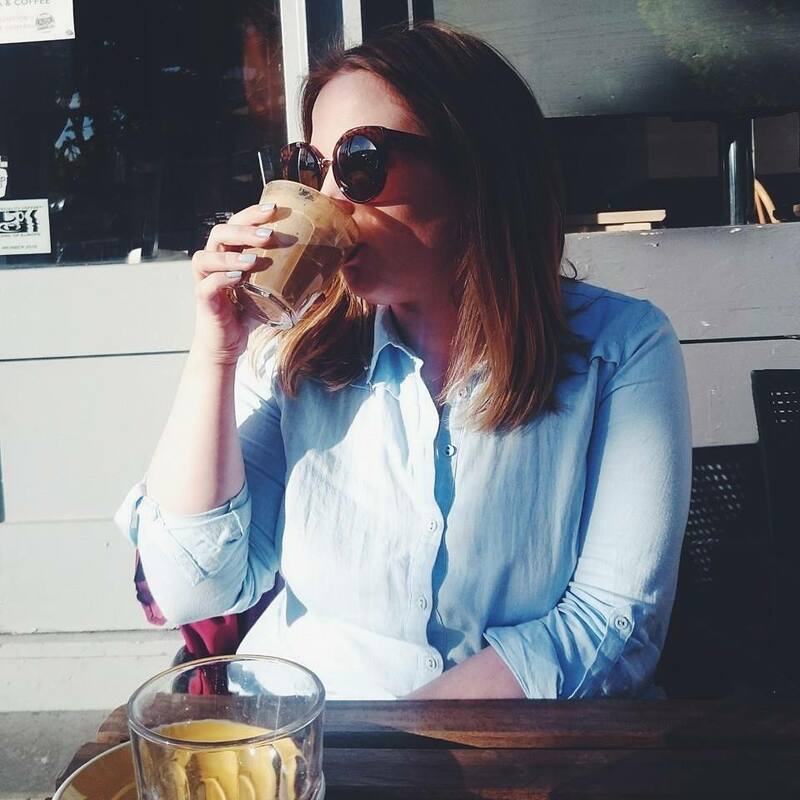 YSL were showing how to contour with their new summer collection, Moroccan Nights and we picked up some handy tips from the lovely girls at Urban Decay on how to do the perfect day to night look. We all came away with a huge wishlist from UD and the minute I've been paid I'm going to buy their Optical Blurring brush and a few more lipsticks. The raffle prizes were supplied by Clinique, Dior, Benefit, Clarins and many more. Each hour they were announced with both myself and Tanya walking away with some lovely prizes from Clinique and Benefit. 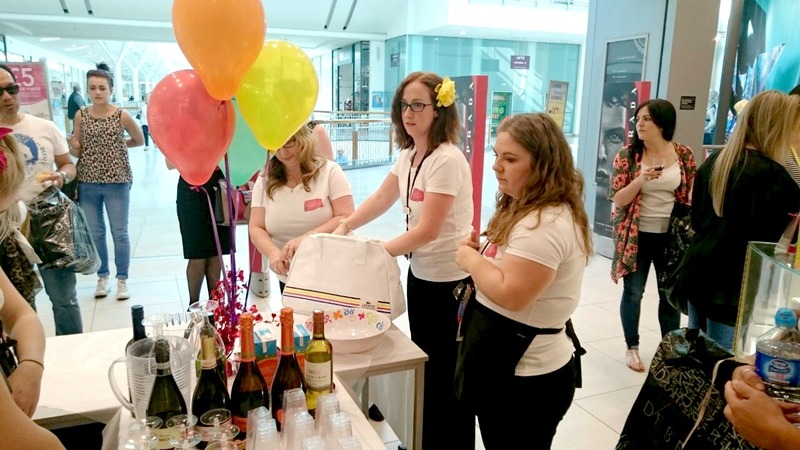 After a few more walks round the counters, a couple of cheeky purchases, a consultation with Clarins and a quick nail top up at Nails Inc, we were given incredible goody bags by Davina, full of different beauty treats, products and samples. 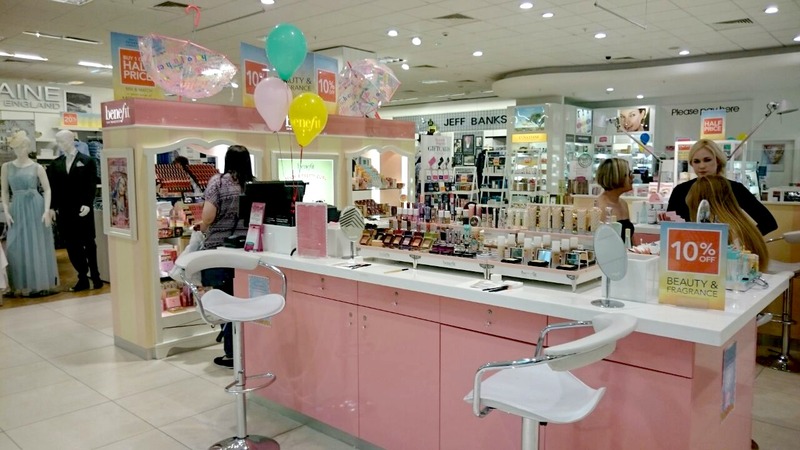 I had such a fantastic afternoon with the girls discussing all things beauty and we were looked after so well by the Debenhams Basingstoke beauty team. 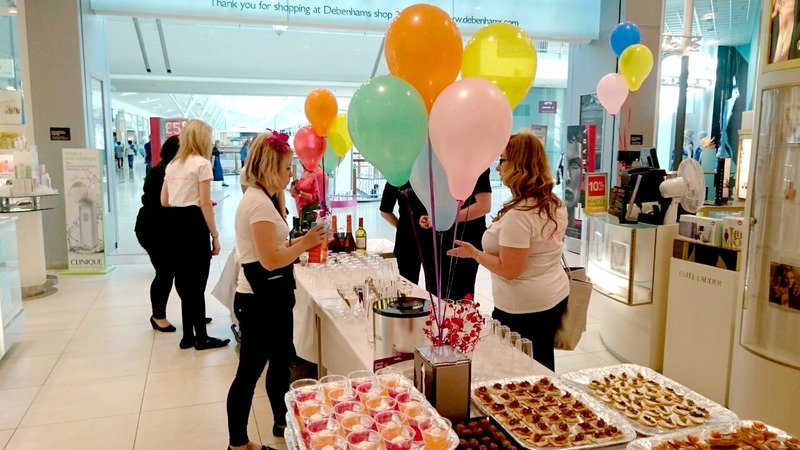 Lyndsey and Davina should be so proud of the team as they were fantastic and I can't wait to see what their future events are like because I've finally found my favourite Debenhams store. 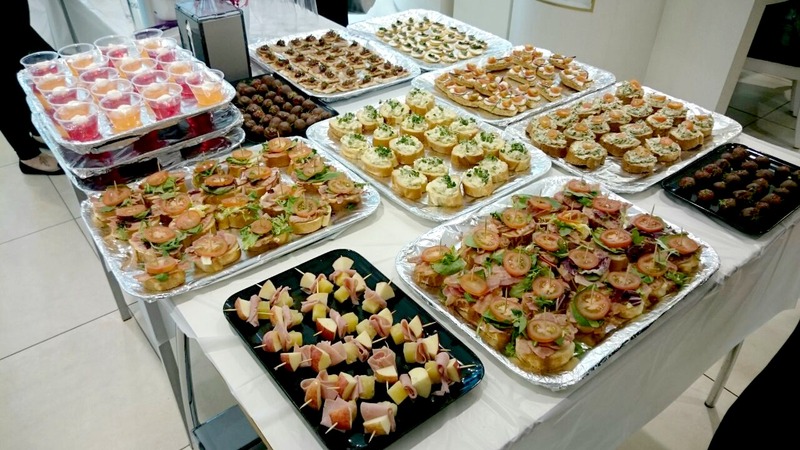 The canapés look amazing! Their optical blurring brush sounds interesting. Love how colourful this event is! 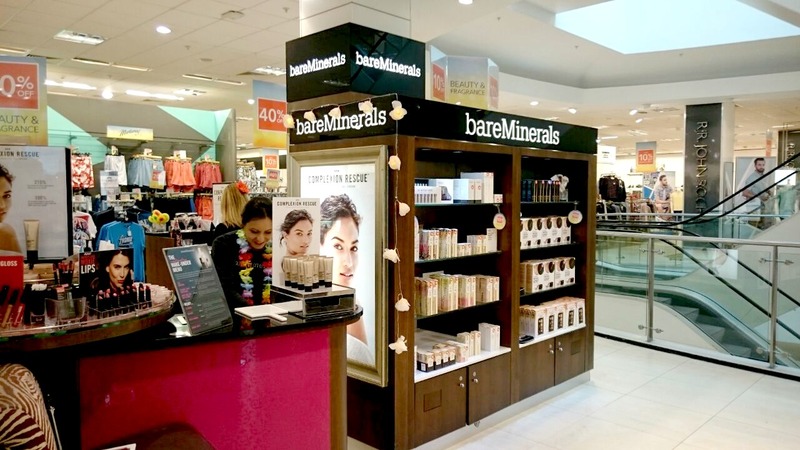 I'm not a huge beauty fan but I love looking at beauty stands because they always look so pretty!